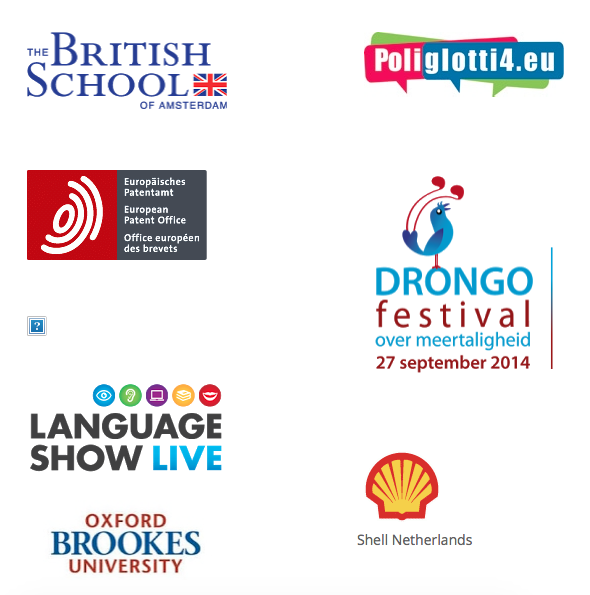 Since starting up in 2004, I have worked with many organisations, schools and families. In addition to offering my “Raising Bilingual Children: Six building blocks for success” through community groups, I also work with companies that have high numbers of multilingual employees (Shell BV, The European Patent Office, the European Space Agency, etc.) 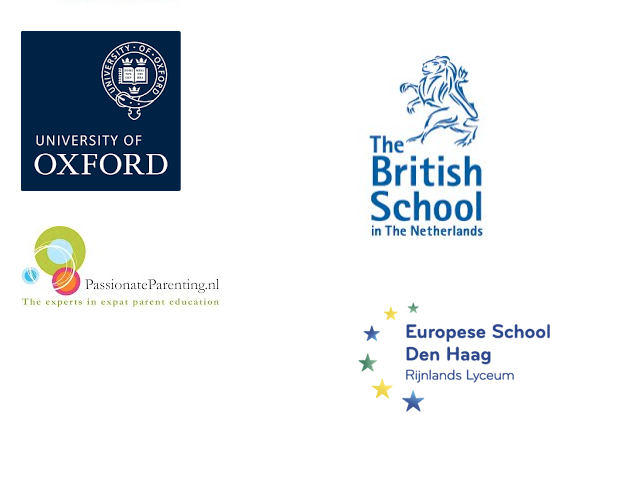 and with schools, both national an international, in the Netherlands and in over a dozen countries. You will find recommendations for my work and a sample of former and current clients below. For parents whose native language is not English, raising their child in an English speaking environment can be daunting and confusing at the same time. Eowyn’s clear approach reinforces with parents what they often instinctively feel is right but are not always convinced of – the need to maintain their child’s home language. Again, Eowyn provides practical methods for parents to support their child’s bilingualism through the development of a language plan, having clear language goals and being strict with themselves to stick to them! From the start, Eowyn has shared her expertise in bilingualism with a sense of responsibility and clarity. She understands the difficulties parents face in a multi-cultural, multi-lingual society and aptly helps parents by presenting clear pathways to success. Always entertaining when she speaks, despite the heavy theory, she’s also a strong force behind the scenes with support and advice to individuals and groups.